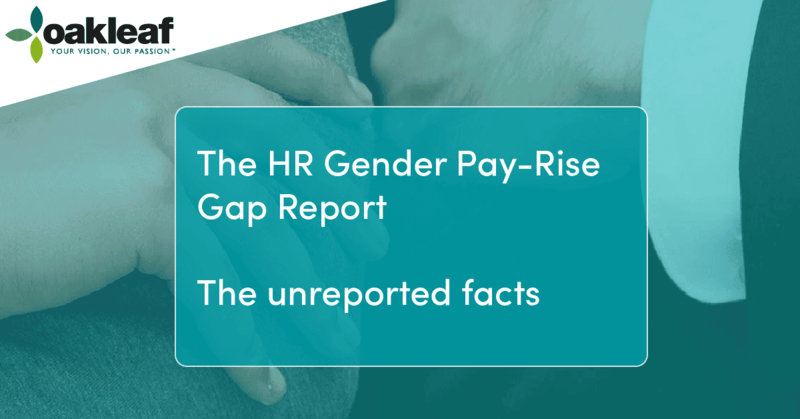 Thank you for your interest in the Oakleaf Partnership HR Gender Pay-Rise Gap Report. HR within the UK is a 74% females dominated profession, employing circa 170,000 professionals within the UK. Human Resources is an industry that has evolved steadily in the last two decades, there to represent employee rights, their welfare, and fundamentally is an industry that champions equality and diversity within the workplace. Did you know on that on average in the last financial year, females on average continued to receive approximately 13% less on their base salary than male counterparts operating in the same field. Did you know that within financial services females in the HR industry received on average 16% less on their base salary than male counterparts? Did you know that within the commerce and industry arena females in the HR industry received on average 11% less on their base salary than male counterparts operating in the same field? Within Generalist HR in the main, there is a reverse pay gap of 1.3% across the profession where females are now paid more than male counterparts. HR, in short, is a female dominated industry that is fundamentally failing in its task to promote equality of pay across the profession and is suffering significant pay disparity in certain parts. How would your HR department measure up to a gender pay audit?